Imagine a wave as tall as the ConocoPhillips building in downtown Anchorage. It happened just three years ago in Southeast Alaska. A new scientific paper makes the case that climate change could increase the likelihood of these events. It synthesized the findings of a rag-tag crew of scientists who descended on the remote fjord where the tsunami happened. Three years ago, Bretwood Higman heard about a tsunami set off by a landslide. It was so far away from civilization that it was only detected by two Columbia University scientists using earthquake monitors. Higman lives with his family in a yurt in Seldovia, off the road system near Homer. He has a PhD in geology, and he’s fascinated by tsunamis and the landscape of Southeast Alaska. So he started scheming about how he could go take a look. The tsunami happened in a place called Taan Fiord. The nearest town is Yakutat, population 600, about 60 miles away. And Yakutat itself is way out there: Juneau is another 200 miles to the southeast. Higman figured he should call the two Columbia scientists who first noticed the tsunami. It turned out they were organizing their own expedition and wanted help with logistics from Higman, who’s adventured all over Alaska with his wife, author Erin McKittrick. With money from the National Science Foundation, a team of scientists converged on the fjord two summers ago. 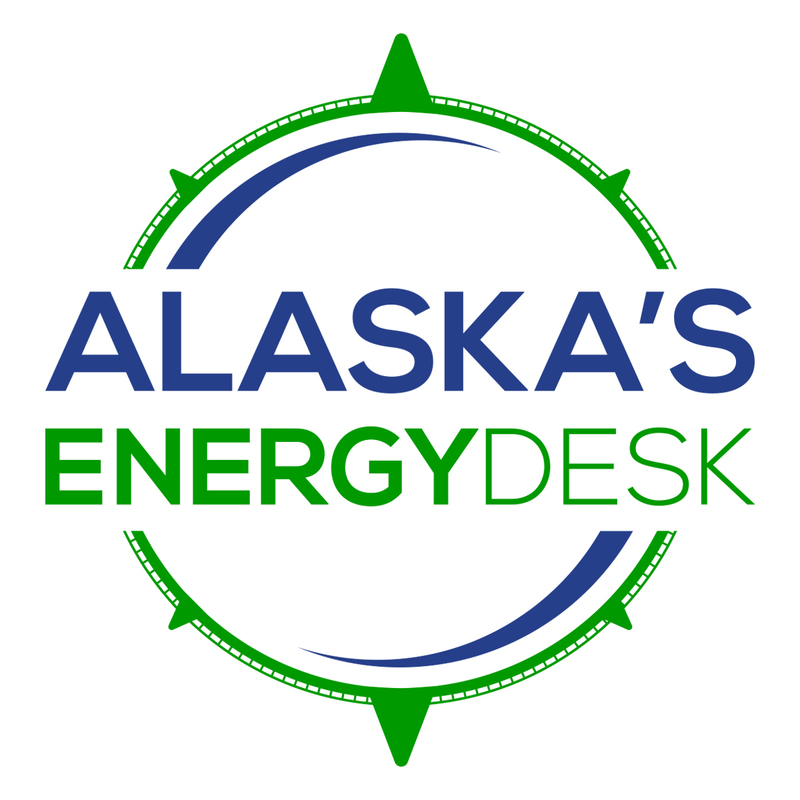 One of them was Peter Haeussler, an Anchorage geologist who motored across the Gulf of Alaska on the Alaskan Gyre – a salmon fishing boat turned research vessel. “We’d trade off cooking meals,” said Haeussler, who works with the U.S. Geological Survey. When Haeussler got to the fjord, he could see the aftermath of the tsunami. 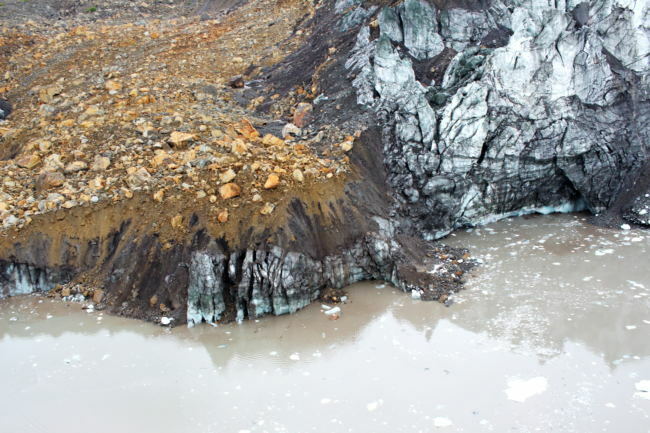 It happened after a gigantic landslide crashed into the water at the toe of the Tyndall Glacier. It sloshed as high as 600 feet above sea level. Some of the scientists looked at the landslide deposits left on land. One chunk was so big they named it: Edgar. The goal was to understand the specifics of the landslide and wave to give scientists a better sense of how this kind of event happens. One of the paper’s take-home messages is that global warming will make them more likely, since retreating glaciers can leave behind unstable slopes. In Alaska, scientists are now thinking about how they should apply the paper’s findings to management of public land and water. For Mike Loso, a geologist with Wrangell-St. Elias National Park who worked on the study, the issue is personal. He explained how by talking about Hoof Hill, the spot in the fjord where the water reached its highest point. “I spent my honeymoon with my wife on Hoof Hill, based out of sea kayaks,” Loso said. 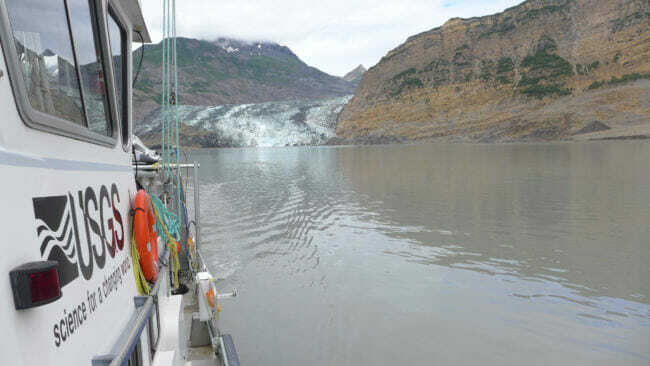 Loso said he doesn’t think it’s appropriate to close places like the fjord where the tsunami happened, or other areas where scientists think there could be risks of similar events, like in Glacier Bay National Park, which is popular with cruise ships. Scientists might not ever understand this type of tsunami well enough to issue warnings, or to predict them, according to Haeussler. And they’re not very likely to occur in places where there are people, Loso said. But Loso does think managers could give out more information about the risks of landslides and tsunamis, even if they’re small.